At yesterday concert, JKT48 finally unveil their own version of “group name” song that introducing the places in Jakarta to its listener. Just in case our foreign friends who came to Jakarta wanted to do some sort of “religious pilgrimage” based on this song, the following are a travel guide that briefly explain those places and things to do there. 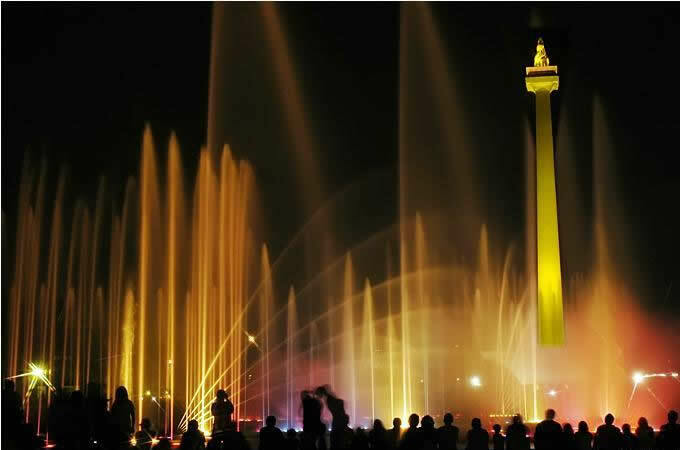 Monas is abbreviation from Monumen Nasional or National Monument (and yes, Indonesians like to abbreviate names. a lot). Located almost exactly in the middle of Jakarta, This 132 meter (433 feet) high white obelisk are the proud symbol of the fight for Indonesia, with the gold-foiled top symbolizing the never ending flame of spirit. Around Monas are various important government building with the presidential palace located at the north of it. Since it is located in the middle of Jakarta, on a clear day you could see Jakarta’s scenery with its skyscraper. While on sunday and other holiday, the resident of the capital city came to jog or playing street football with friends. Taman Impian Jaya Ancol or Ancol Dreamland, opened in 1966 and is currently the largest integrated tourism area in South East Asia. It has several entertainment and amusement parks, along with hotel and restaurants. During long public holidays, like Eid Al-Fitr or Christmas holiday, expect it to be crowded by people not only from Jakarta, but from various neighboring cities as well. The restaurant Bandar Jakarta that are visited by Haruka and Akicha also located here. While for those golf aficionados could try it’s 18-holes international class golf course. 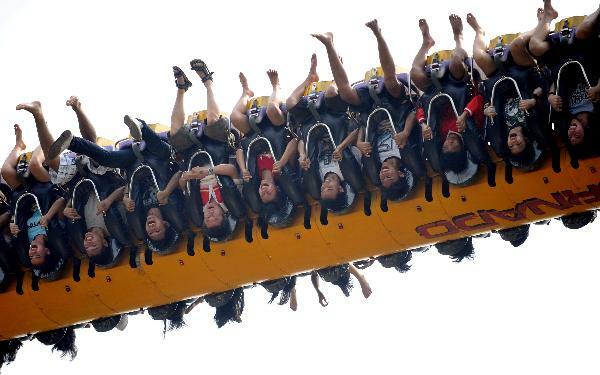 One of the most popular entertainment parks at Ancol are Dunia Fantasi or Fantasy World (abbreaviated “Dufan”). A theme park that are visited by Haruka and Akicha in the second OGB where they ride “Niagara” flume falls attraction. There are also a roller coaster, ferris wheel, and many others. 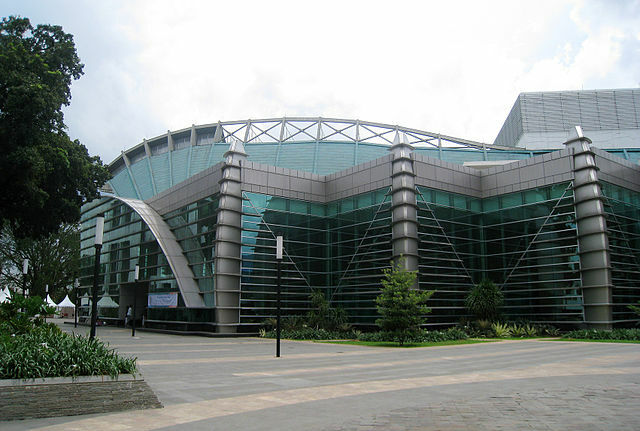 Pusat Kesenian Taman Ismail Marzuki or Taman Ismail Marzuki (abbreviated TIM). Opened at 1968, this art and cultural center located in the middle of the city. It holds several performing art buildings and galleries and also the home of Institut Kesenian Jakarta or Jakarta Arts Institute. The Planetarium located on it’s front are often visited by grade students. 2. Visit the Planetarium hall and watch their documentary about the universe in their hall with dome-shaped roof that act as the screen. Gelora Bung Karno Sports Complex (abbreviated GBK), named after Indonesia’s first president who initiates it’s construction, are previously known as Senayan Sports Complex. 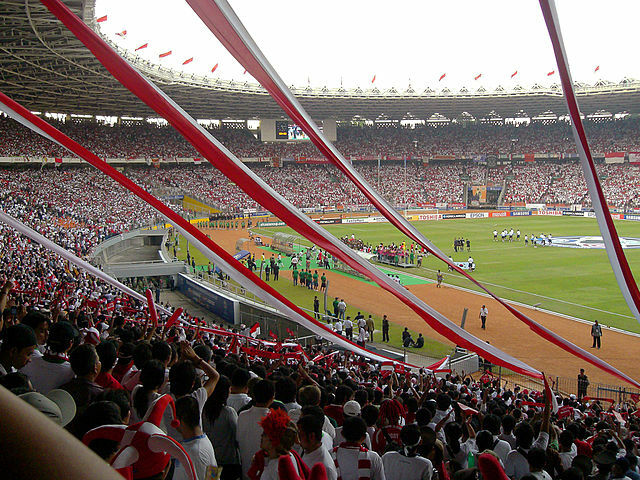 The word Gelora itself is abbreviations of Gelanggang Olahraga which means “Sport Arena”, and it also means “vigorous” (like the flame or ocean wave) in Indonesian. The main stadium had a capacity of 88,000 spectators while other smaller stadium could hold thousands of spectators. This complex not limited to held sports event only, but also other events such as musical, political, and even religious one. The latest one are, of course “Allow Us To Introduce Ourselves, JKT48” Concert that held on Indoor Tennis Stadium in side the complex. Locared just about 500 meters from FX Sudirman, one might say GBK is to JKT48 just as Tokyo Dome to AKB48. These are various shopping malls center that are located in Jakarta. Bundaran HI (HI comes from Hotel Indonesia) and Kuningan are high profile shooping centers that located in the center of Jakarta’s Business District. 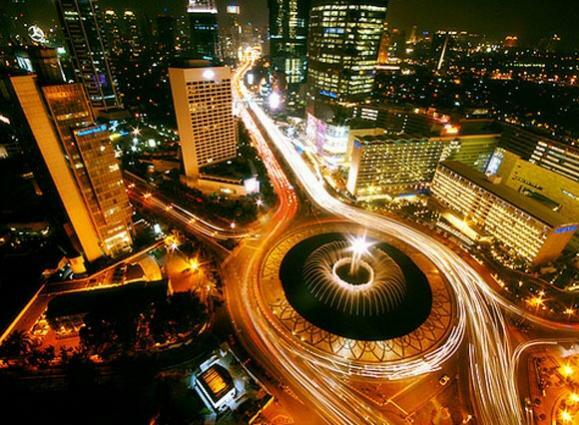 While Kemang that are located South Jakarta are an entertainment district where many foreign people came to have fun. And Mangga Dua are actually a shopping district comprised of various malls and shop. Legend says, you could find almost anything that aren’t strictly illegal here. Blackmarket but not “black” enough. so I will check myself how many places I still remember. Thank you Japarta. Just wait for it. I’ll update this article after they finally released the version of the lyrics.